The archipelago of Indonesia is made up of at least 17,000 islands which are blissful spots that will entice anyone yearning for a tropical getaway. You can get immersed in the local culture when you visit the islands in Indonesia, and marvel at the unique features of each island. If exploring tropical jungles or enjoying the vibrant sunset on a secluded beach sounds appealing, a vacation in Indonesia might be just what you need. 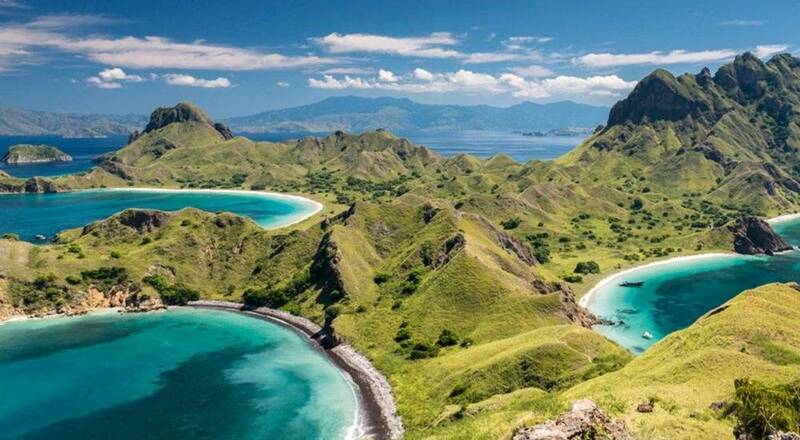 Here are 9 of the most exciting and beautiful islands in Indonesia you should visit for your next trip! Bali attracts numerous travelers for its charm - from natural beauty to city attractions, and of course beaches. You can also stay at eco-lodges or traditional style hotels for a unique experience. There is just so much to explore and boredom is never an option! 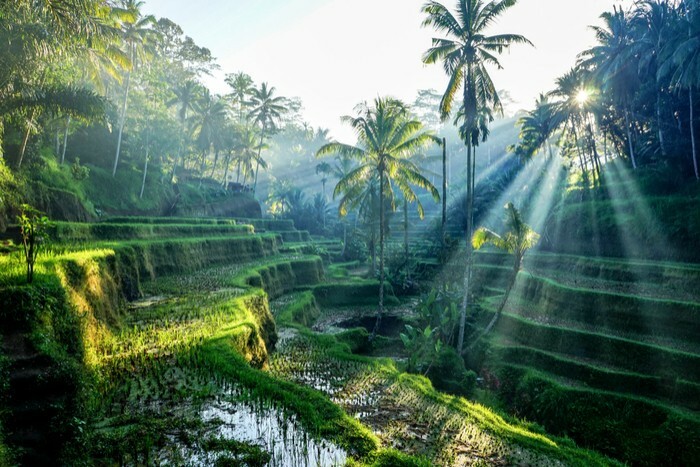 You can take in a serene view of the winding green Tegallalang Rice Terraces in Ubud or spend a fun day out at the white sandy beaches of Seminiyak or Jimbaran and take a dip in the clear blue waters. 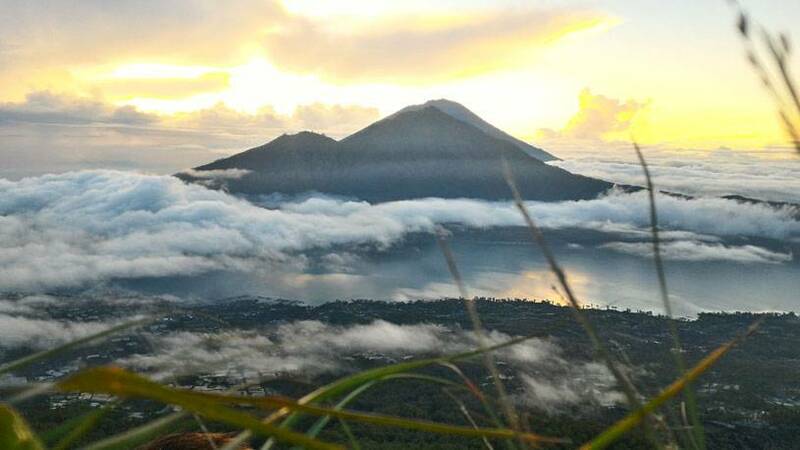 If you are feeling adventurous, try trekking up the famous Mount Batur to catch the beautiful sunrise. You can even go flyboarding at Tanjung Benoa Beach in Nusa Dua for a great thrill. Last but not least, don’t miss out on a water splashing experience at the Waterbom Bali park especially if you are traveling with your family. Finding Halal food here wouldn'n’t be too hard. You can drop by spots such as Bale Udang or the cafes that line Jimbaran Beach. You can also opt for some delicious seafood or vegetarian options at other dining spots too. From luxurious accommodation in tranquil locations to unspoiled natural landscapes, Lombok is really ideal for a peaceful vacation. Lombok is the idyllic getaway for a honeymoon or relaxing vacation in Indonesia, especially if you prefer a chilled-out exception to Bali. It is best known as a surfer’s paradise because of its attractions such as the Tangsi Beach, with its pink sands and excellent spots for diving and snorkeling. 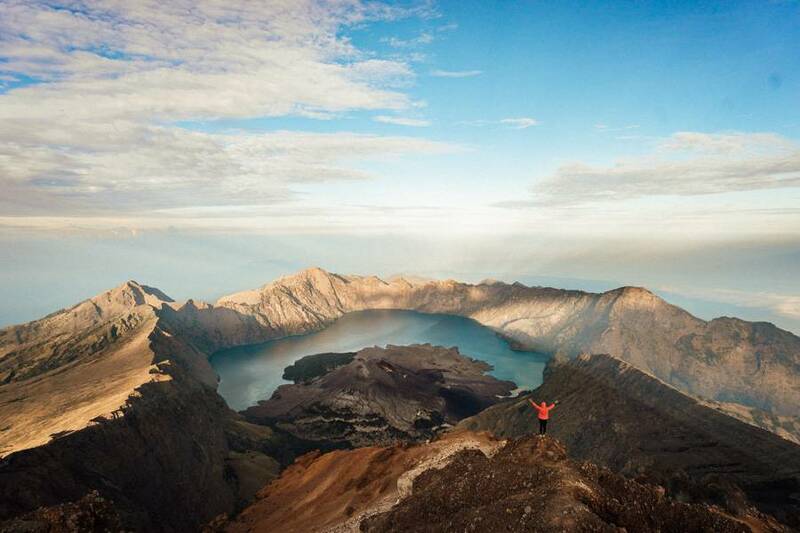 If you are a nature buff, trek along Mount Rinjani, where the Segara Ana lake reflects the blue sky or drop by Senaru Village to take in the lush green setting. You have an option to trek to Tiu Kelep Waterfall as well. When it comes to Halal food, Lombok is known to be quite Muslim-friendly. You will easily find great restaurants that serve the local fare, as well as big chain restaurants such as KFC and Mc Donald’s. After Lombok, head down to the Gili Islands to continue your island adventures. Gili Trawangan is ideal for diving and exploring vibrant streets at night, which is great if you are looking for a lively holiday. Gili Meno is just 2km long and great for that peaceful romantic trip and for those looking for a serene spot - and there is a bird sanctuary as well. For thrill seekers, Gili Air has a lot to offer in terms of beach activities such as parasaling. There are plenty of places that serve excellent seafood and more Halal food spots on Gili Trawangan. You can really experience the local flavours at the islands. However, you can enjoy swimming, diving, snorkelling, kayaking or admire the sunset at all three islands mentioned so far. 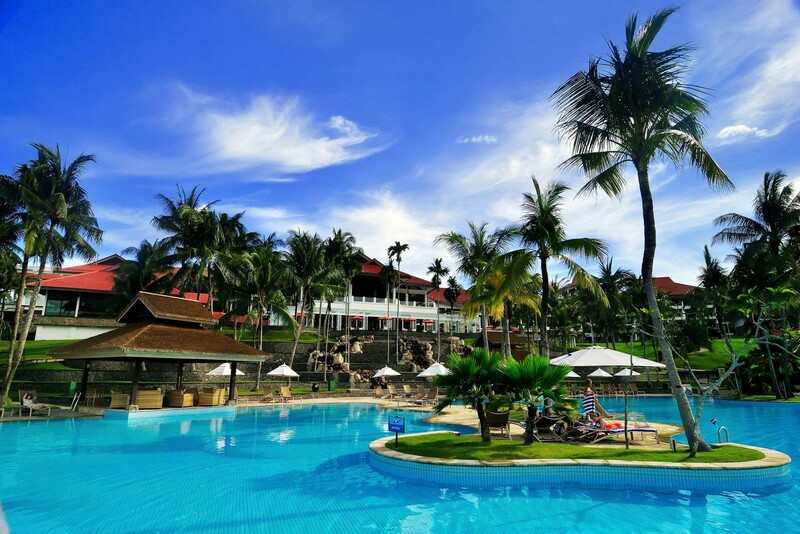 Bintan is a known favourite weekend getaway among Muslim travelers in Singapore. From lush mangrove forests to delightful beaches and plenty of engaging water sports - there is something for the adventurers and beach loungers alike! Some of the highlights of Bintan island include the seaplane rides, where you can get an impressive view of the island scenery, and the Sultan of Riau Grand Mosque on Penyengat Island. Bintan Island is dotted with gorgeous resorts which makes this the perfect spot for relaxation, honeymoons or big family vacations. You will be pleased to know that finding Halal food won’t be a problem here - you can easily visit the Pujasera Hawker Stalls or simply go for the delicious seafood options. There is a popular restaurant known as Sederhana Restaurant Nasi Padang as well. The Wakatobi Islands are best known for diving and snorkeling spots that are teeming with brightly colourful marine life and coral gardens. If you are a beginner or an advanced diving enthusiast, do drop by The Wakatobi National Park where you can appreciate the underwater scenery. The island is located within the Coral Triangle and is ideal for an escapade for something quieter rather than the ever-popular Bali. If you prefer something more engaging – motorcycle tours, kayaking, and kitesurfing are some of the livelier things to do on the Wakatobi Islands. It might be a bit hard to locate Halal food on the Wakatobi Islands, but there are few spots such as WarKop Sombu DIVE and Kopi Paste Shop that you can visit. There are plenty of seafood options here as well. This beautiful island with lush greenery gets its name from the Portuguese word ‘flores’ which means flowers. The island beaches are known for their pinkish sand that frames the blue waters. You can swim or dive in this serene paradise. Some of the unique aspects of the island include the uniquely beautiful crater lakes on Mount Kelimutu with their ever-changing colours. Liang Bua Limestone Cave, is another unique aspect of this island. Home to a number of fossils, it would definitely appeal to trekkers and backpackers. In addition, when it comes to Halal food options, there are a few restaurants that serve Halal food such as Blue Corner and Warung Mama. You can stick to seafood or vegan/vegetarian options as well. 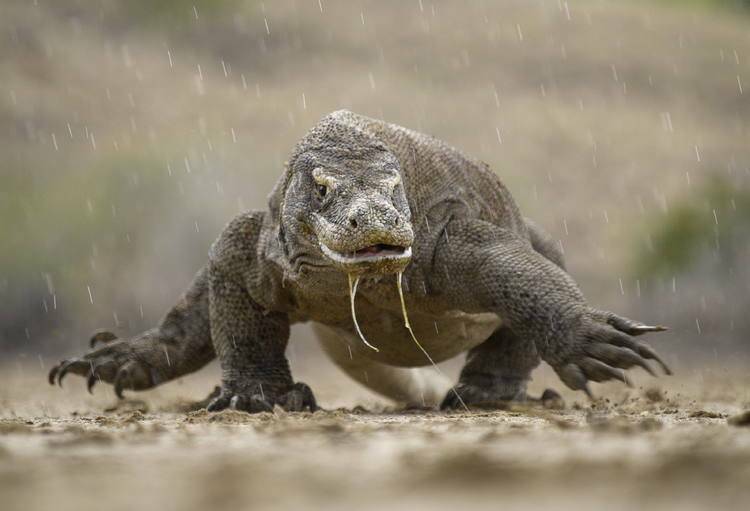 After your trip to Flores, head to the home of the famous Komodo dragons – Komodo Island. 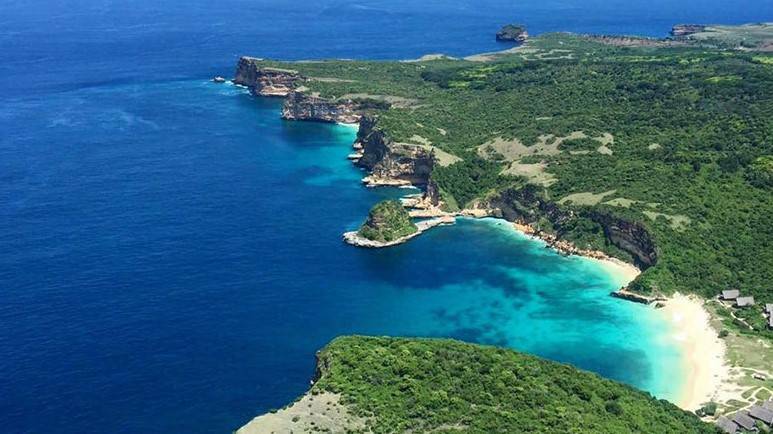 This island, with its diverse marine life and gorgeous coral gardens, is ideal for those who enjoy diving and snorkeling. You can stroll along the pink sandy beaches and enjoy the beautiful sunset too. Even though island is quite popular among tourists, don’t let that deter you from enjoying the wonderful scenery or going trekking among the dormant volcanoes. Of course, you must visit the famous Komodo National Park to observe the Komodo dragons and enjoy the wonderful outdoors. Do note that there are very few restaurants on the Island. However, the island has a Muslim majority so you have high chances of finding Halal food options. Do not hesitate to ask the locals for help. Belitung is a peaceful getaway from the bustle. Located east of Sumatra, it is notable for its white sandy beaches lined with large granite boulders. You can enjoy a swim in the turquoise waters, or go snorkeling to admire the diverse marine life and bright corals at the Tanjung Tinggi Beach or Tanjung Kelayang. Some island highlights include the Danau Kaolin or the Blue Lake where you can take insta-worthy photos. You can also climb the old lighthouse on Pulau Lengkuas for a bird’s eye view of the area. When it comes to Halal food options, you can stop for some delicious seafood at Pulau Kapayang or enjoy most of the restaurants on Belitung as the island is a seafood heaven. However, it might be hard to locate Halal restaurants on this island. Nusa Lembongan is a tropical paradise which is located southeast of Bali. The first things you will notice as you approach the island are azure waters and unique rock formations. 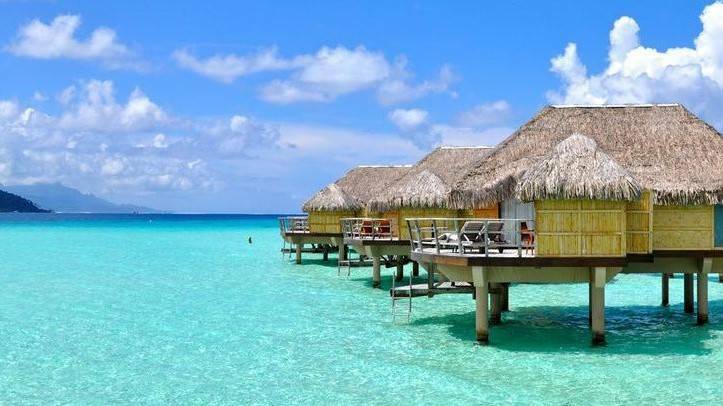 Along with some great resorts, the island is another spot that is extremely popular for snorkeling and diving sites. If you’re for up something adventurous, you can head to the famous Blue Lagoon for cliff diving! Nusa Lembongan is ideal for beach lovers who doesn’t mind small crowds and loves breathtakingly gorgeous ocean scenery. From catching the sunset at Jungut Batu Beach to unwinding at Mushroom Bay, this island is a great spot for a beach holiday in Indonesia. Unfortunately, finding Halal food on this island will be quite a challenge. However, you can stick to the seafood or vegetarian/vegan options during your stay.